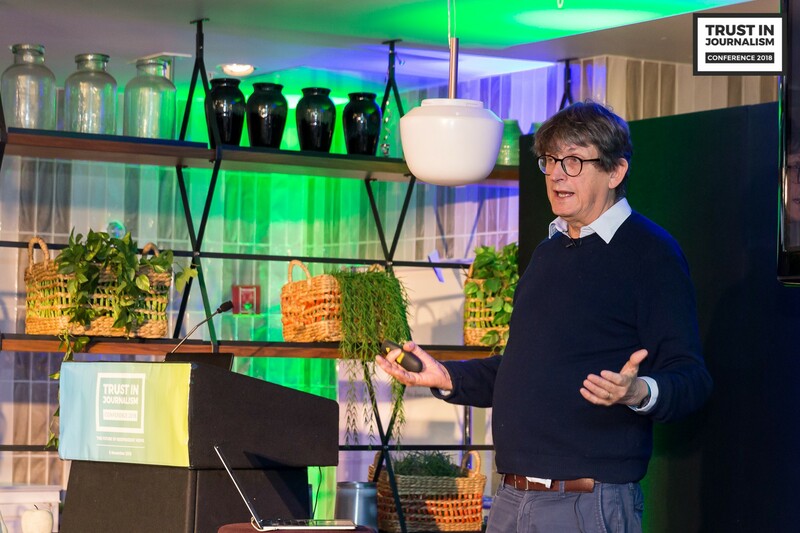 The Trust in Journalism Conference 2018 started off with a key note by one of the most experienced editors in the UK: Editor-in-Chief of the Guardian for 20 years, Alan Rusbridger. 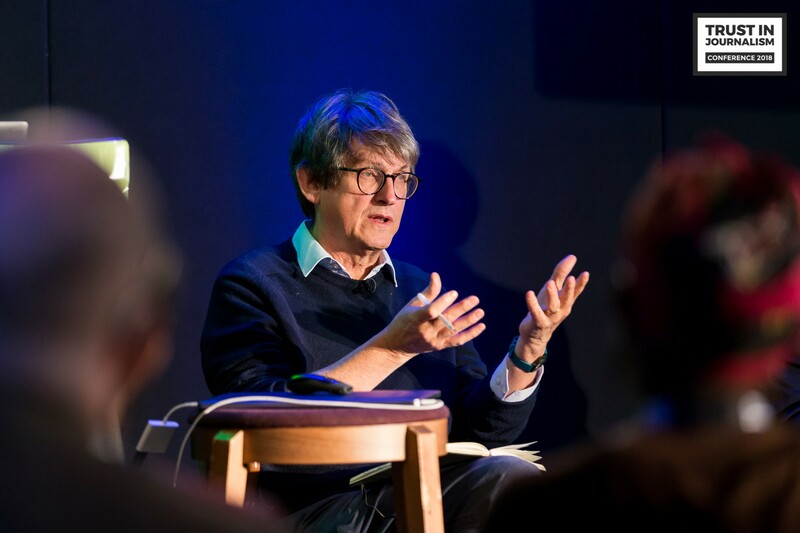 Alan Rusbridger, who stepped down from the Guardian in 2015 and currently chairs the Reuters Institute for the Study of Journalism, recently published his book Breaking News: The remaking of journalism and why it matters now. Speaking to the audience at the IMPRESS inaugural Trust in Journalism Conference, he reflected on how the technological changes of the past years led to "a world that now operates in a horizontal plane", and how in this new context, journalists "are really struggling to get into that horizontal conversation". "There are [many] things that fall under the rubric of 'journalism' – We can't agree what journalism really is; we can't agree whether it should be objective or impartial, or subjective. Or whether it should be campaigning, or just stick to the facts. Or whether it's about entertainment, or about commentary or advocacy. There are many things that we call journalism". He then spoke about how "the public interest that we think we are serving" appears to get lost in this. "If we try to say journalism deserves to survive and we need to command your respect, then we surely need to convince people that there is a public interest that we are serving and we are not just about making money". He also added that the issue with 'the public interest' is that it's not easy to agree on what it really is in the UK. He first appointed a readers editor: "people need to have an independent channel of complaint, and correction and clarification. Because otherwise, you are never going to win back trust". They also established an "open model of journalism" with an open perspective towards the internet and the conversations taking place there. The third main thing to retain trust was "to do fantastic old fashioned journalism", for which he cited some of the most emblematic stories written at the Guardian in those years. The BBC is a shining example of a public good where you haven't got gated communities of news where rich people can afford to get good news and everyone else has to do with whatever is swimming around in the ocean of disinformation". The Guardian currently has 1 million paying readers. Speaking about the future of economic models for news organisations, he pointed out the necessity of thinking of different kinds of companies – like social enterpreses – since "we have to prepare for the possibility that market will not support that kind of journalism". 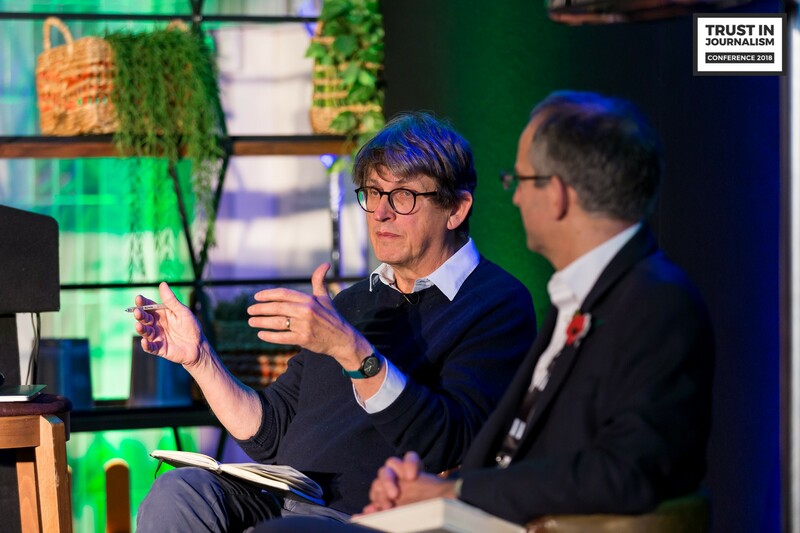 After his key note, Alan Rusbridger took questions from the floor. Asked about whether he thought that the decline of trust in the press had anything to do with the lack of diversity, he said that a greater diversity will create "better news organisations - they will just be better journalistically". "We have to take more seriously the craft of what we do. I can't think of any other reason why journalism should survive: if we can't say why we are better than the interent, then we don't deserve to survive. If we can't say that we are serving a public interest, or that we are better or mor rigourous at sifting falsehood from facts, then why should journalism survive? We have to make a better job at explaining to readers why we are better". Alan Rusbridger is a journalist and author who is currently Chair of the Reuters Institute for the Study of Journalism and principal of Lady Margaret Hall, Oxford. He is the former Editor-in-Chief of the Guardian. He recently published Breaking News: The Remaking of Journalism and Why It Matters Now.